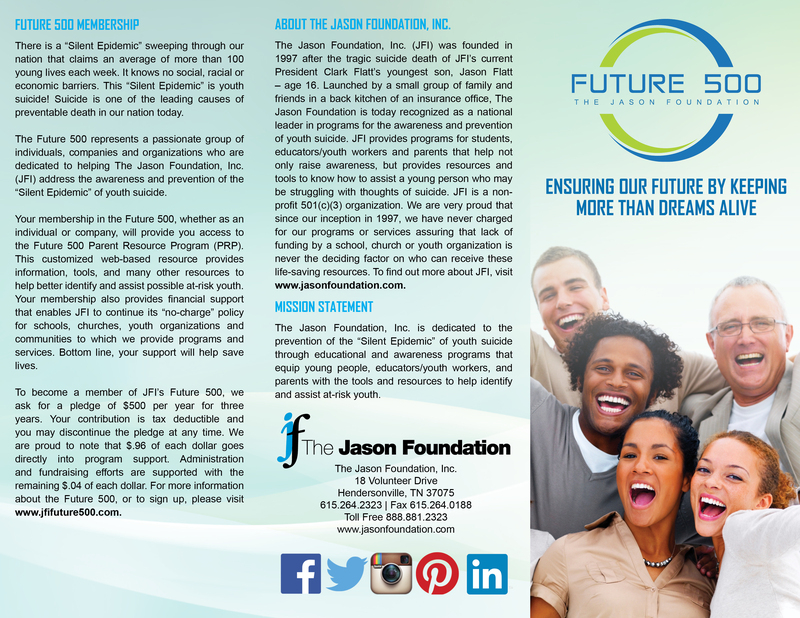 The Future 500 represents a passionate group of individuals, companies and organizations who are dedicated to helping JFI address the awareness and prevention of the “Silent Epidemic” of youth suicide. Your membership in the Future 500, whether as an individual or company, will provide you access to the Future 500 Parent Resource Program (PRP). This customized web-based resource provides information, tools, and many other resources to help better identify and assist possible at-risk youth. Your membership also provides financial support that enables JFI to continue its “no-charge” policy for schools, churches, youth organizations and communities to which we provide programs and services. Bottom line, your support will help save lives. 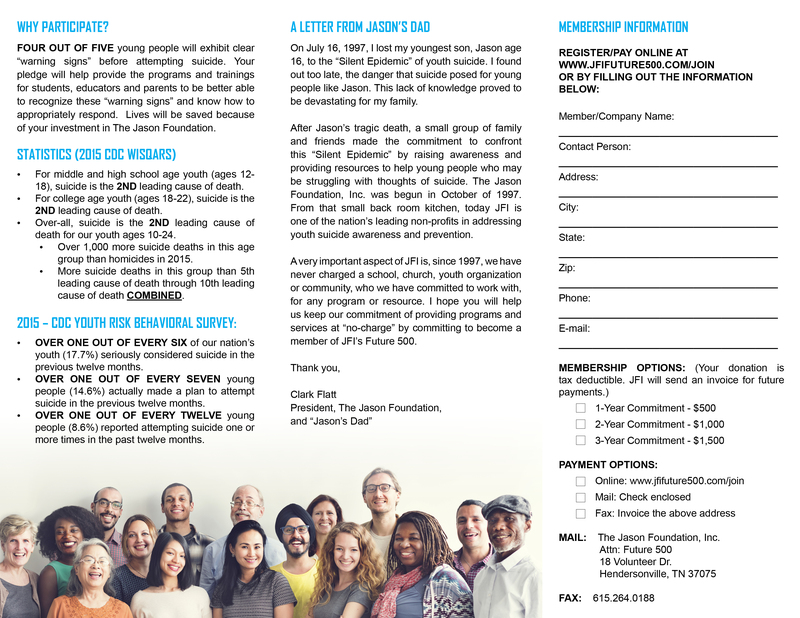 To become a member of JFI’s Future 500, we ask for a pledge of $500 per year for three years.